When we moved here fifteen years ago it was with the intention of leading a more self-sufficient and sustainable lifestyle. We wanted our children to know where their food originated from and to eat the best we could provide for them. Life often doesn’t quite go as we’d expect though does it… our original plans changed. The cost and time it took for house renovations seemed to go on and on and the small holding dream has at times seemed unachievable. When we sat down at the beginning of this year and talked about how we could improve our diet without the costs associated with buying organic meat but eat more ethically, we came up with a plan. Firstly we’d dramatically reduce our red meat intake and eat more fish. Secondly we’d only buy free range chickens and joint them rather than buy separate breasts or legs. 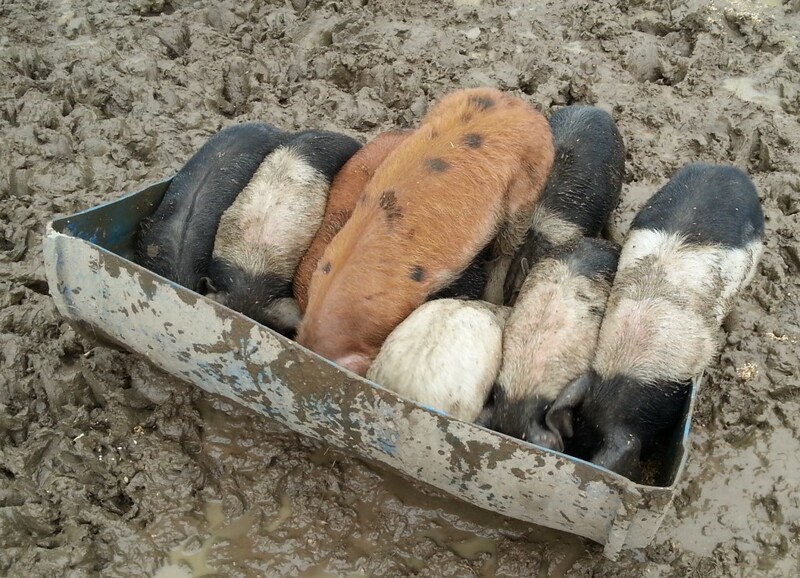 Lastly (for this year) we’d book ourselves onto an Oldfarm pig rearing course and find out exactly what’s involved in rearing pigs for the table. The course took place this weekend in Alfie and Margaret’s small holding in Tipperary. We covered everything from where to begin right through to breeding and slaughtering before heading outside with the group to meet and feed the Oldfarm pigs. If was such an enjoyable, informative and interesting day that we’ve put our names down for two piglets! Next week Mr G will be applying for a herd number as well as fencing and building an arc in preparation for the two new arrivals that will remain nameless! The course included a delicious lunch made by Margaret of Chickpea and Sausage Hotpot and Deluxe Tomato and Sausage Pasta where we were able to taste the flavours of free range pork for ourselves (will never buy factory farmed pork again!). We were truly spoilt however when we were invited to stay for dinner and tasted the scrummy Pulled Pork cooked by Alfie in his Big Green Egg. Margaret accompanied it with a warm rice salad that I’m hoping she’ll add to her blog recipes soon! The Oldfarm course is well worth taking if you want to rear pigs but if it’s not something you have the space or stomach for, we can definitely vouch for the pork they sell. The food we eat should be bona fide and flavoursome, Oldfarm’s are in abundance. As corruption in the food industry is being unearthed daily, finding and supporting honest food producers that are passionate about where and how their animals are reared is vital wouldn’t you say? I’ll let you know how we get on with our own venture into the livestock world! If you’re going to eat meat it’s the way to go. Good luck with your new enterprise. Thanks Bridget and yes, it will decide whether we really are a family of meat eaters or not having reared them! Wow, sounds like a great weekend. 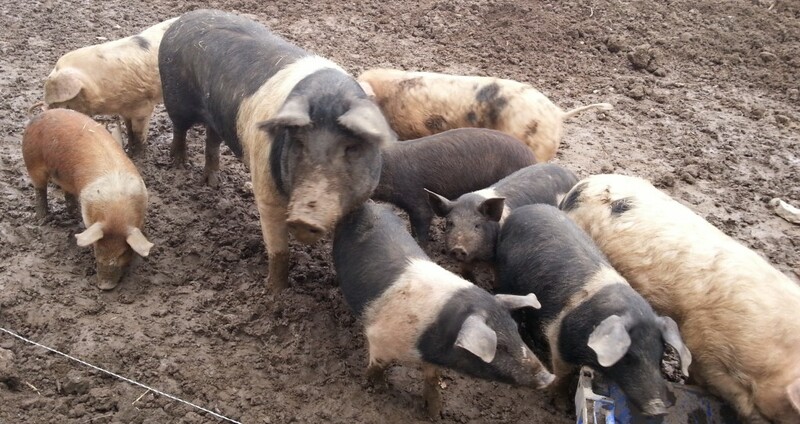 My sister in law did one of Oldefarm’s pig rearing courses too and thought it was fantastic. It is something my hubby would love to get into and would be great for the kids. Don’t have the space at the moment but if we get a chest freezer we could stock up on their meat! I like your plans for free range chicken and more fish too, we have been thinking along similar lines ourselves. My plans are to serve GOOD meat, just LESS often! Yes, think we might have to buy a bigger freezer too Naomi as it sounds like one pig can potentially fill it! Will do Margaret! We contacted the Department today and Ian’s off to buy the fencing tomorrow 🙂 We’re doing it as a joint venture with our neighbours, great excitement all round! Ah name them! They do make the best pork. We prefer to just get the meat .. 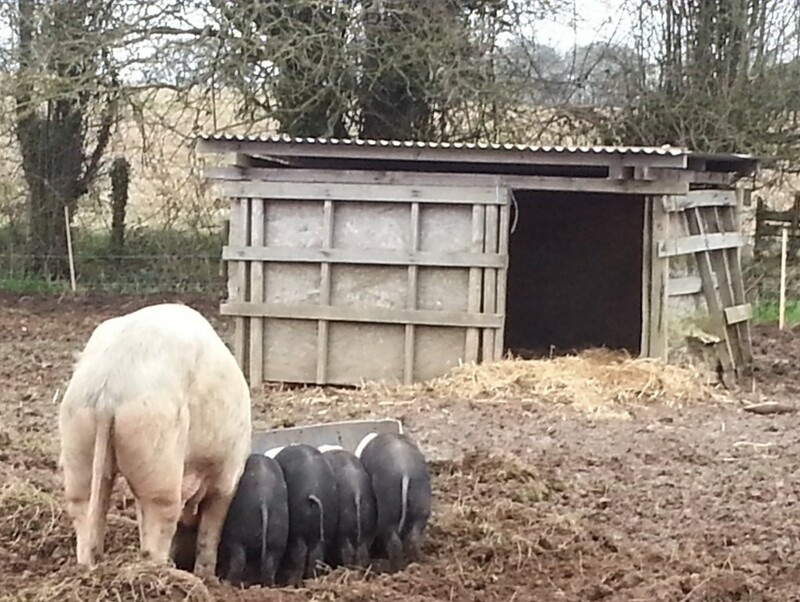 I have not managed to muster up the courage to get the pigs in the back hard just yet! Ah we’ll see Mona.. it was only over the past couple of years I’ve felt really ready to do it. 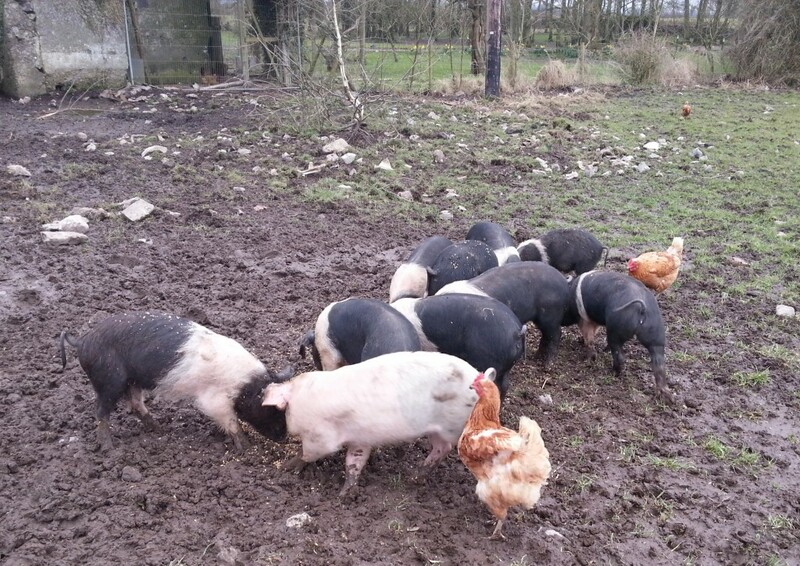 It also helps that we pass intensive pig farms locally on a daily basis and that when we lived in the UK we were used to seeing pigs free range. I think (hope!!) that will see us through the difficult bits. Sounds like you had a great day and Pig rearing is something I want to do too. Never got around to getting a couple of pet lambs to rear for the freezer this year – between it being so cold and we’re short on housing this year with our compact calving! Thanks! It was great Lorna and feel happy to get them knowing so much more about them. Alfie was great at sharing the good and not so good bits about it and I think they have a couple more courses planned this year at least.